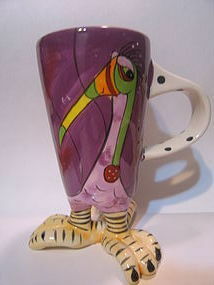 Handpainted mug manufactured in 2009. Measures 6 inches in height. There is no damage. Others in the set are available. 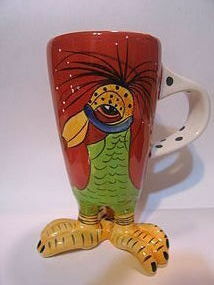 Handpainted mug manufactured in 2009. It is approximately 6 inches in height. There is no damage. Close-up photo available for id purposes. Other mugs in this set are available for sale. 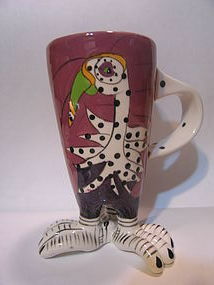 Mug measuring 6 inches in height. Manufactured in 2009. There is no damage, however, as they are handpainted, there are a few stray drops of paint. Other mugs of this set are available. 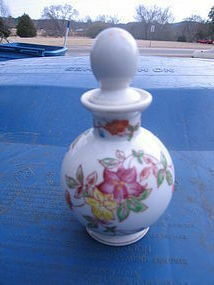 Vintage porcelain scent bottle with wand marked in older red Made in Japan. It is approximately 5 inches in height. There are no chips, cracks, breaks or rough rims, but has loss to the gold trim on lid and bottle rim. The cork stopper shows no damage. Additional photos by email. 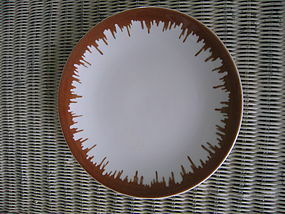 Gildhar Elsinore salad plate measuring 7 3/4 inches. Very little sign of use. 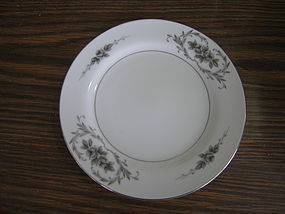 Several plates are available, as well as, other pieces in this pattern. My photograph of this piece is very poor, but the flowers are gray and tan with tiny white dot/circles on a white background. 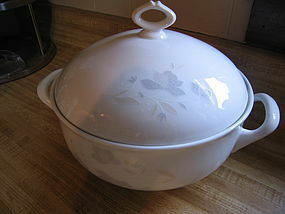 The tureen holds a bit over 2 quarts. Little if any sign of use. Additional pics of the pattern is available by email. 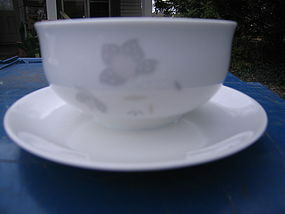 Other pieces of this set are available, including the lid to the coffee pot. This is the 7 1/2 inch salad plate. Backstamped EPIAG D.F. Carlsbad Czechoslovakia. I do not know if there was an official pattern name, but manufacturer identified as Dekor 73168 Form Minuet. I really can't get a good photo, but the flowers are tan and white with tiny white dots. Little if any sign of use. Additional identification photos by email. Other pieces of this set are available for purchase. 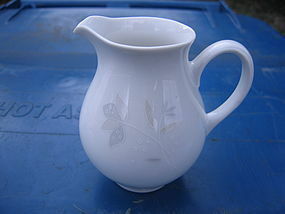 Cream pitcher manufactured in Czechoslovakia. There are gray and tan flowers with white dots on a white background - I've not been able to find a pattern name. The original box is stamped Dekor 73168 Form Menuet. It is approximately 3 1/4 inches in height. There does not appear to be any sign of use and came from original box. Further identification photos by email. Other pieces of this set are available. 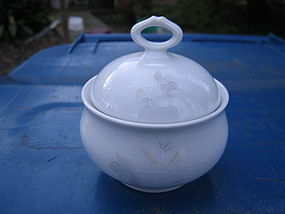 This sugar dish measures 3 3/4 inches in height (including the lid). This set was manufactured in Czechoslovakia. The original box is stamped Dekor 73168 Form Menuet - I've not been able to find a pattern name. There are gray and tan flowers with white dots. It appears to be unused, as it came with original wrappings and box. Additional identification photos by email. 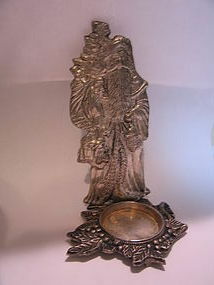 Other pieces are available in this form. 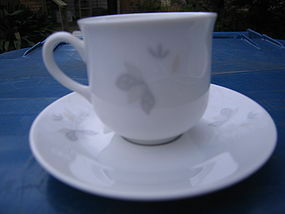 Demitasse cup and saucer manufactured in Czechoslovakia. 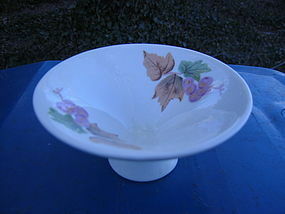 I have not found a pattern name, but the original box is stamped Dekor 73168 Form Menuet. It is decorated with gray and tan flowers with white dots on front and back. This set is coming, in what appears to in an unused condition, from the original box and wrappings. Additional identification photos by email. 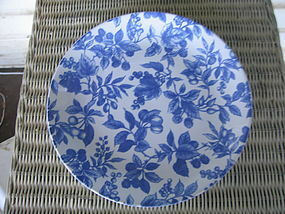 Other pieces are available for in this pattern. 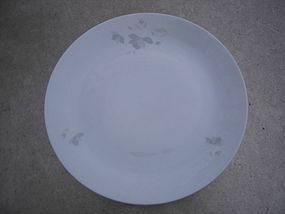 Wide unrimmed soup bowl (8 3/4") manufactured in Czechoslovakia. This might be considered a pasta bowl. The original box identifies as Dekor 73168 Form Menuet. The design is gray and tan flowers on a white background. 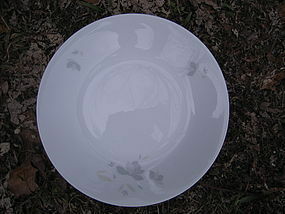 This bowl does not appear to have been used and shows no damage. Additional close-up pics for further identification by email. Other pieces are available for purchase. 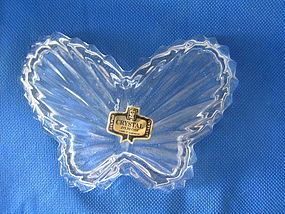 This trinket or jewelry box has a Zajecar Yugoslavia 24% Lead Crystal sticker. 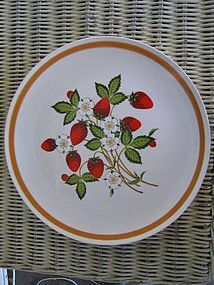 It measures approximately 4 1/4 x 3 1/4 x 1 1/4 inches. There are no chips, cracks, breaks or rough areas. I need your zip code to calculate the postage.